These databases may help you find a topic that interests you. Current Issues Databases feature articles with different viewpoints about topics related to current events and social issues. 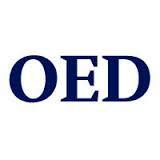 Specialized Encyclopedias and Dictionaries include articles with background information and topic overviews. You might also use the information you find in these databases as sources for your research project. 1996 - Present. In-depth essays exploring over 800 current topics in business, politics, government, education, and popular culture. Also includes timelines, primary documents, statistical tables, editorials and political cartoons. Full-text. Sponsored by Cayuga. 1991 - Present. Weekly reports on current issues related to domestic and international affairs, health, education, the environment, technology and the economy. Full-text. Sponsored by Cayuga. Dates vary. Multi-discipline. Full text articles from over 2,700 publications, including many peer-reviewed. Full-text. Sponsored by SCRLC. Essays presenting multiple sides of current issues, along with articles from political magazines, radio and television transcripts, and primary source documents. Full-text. Sponsored by SUNY Connect. 1998 - Present. Multidisciplinary specialized encyclopedias and reference sources. Full-text. Sponsored by SUNY Connect. Provides the meaning, history, and pronunciation of over half a million words, both present and past, traces the usage of words through 2.5 million quotations from international English language sources. Full-text. Sponsored by Waldo.